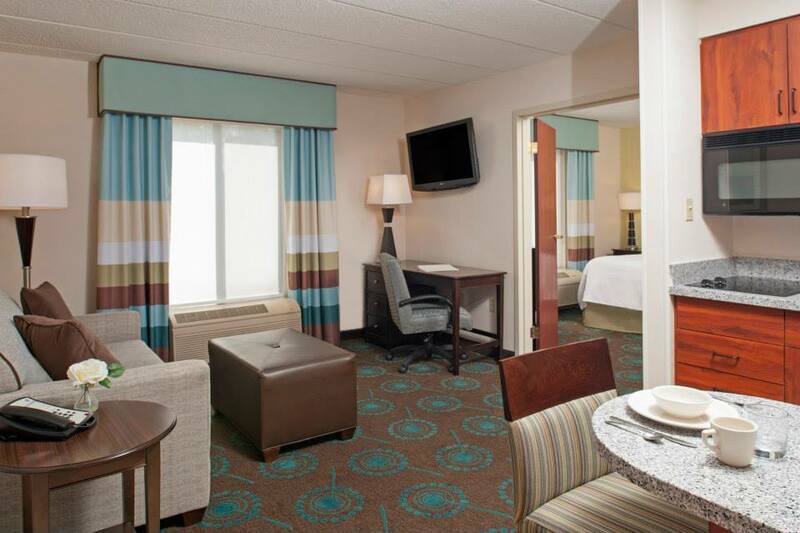 Check out the NEW renovations at Hampton Inn & Suites Kokomo! 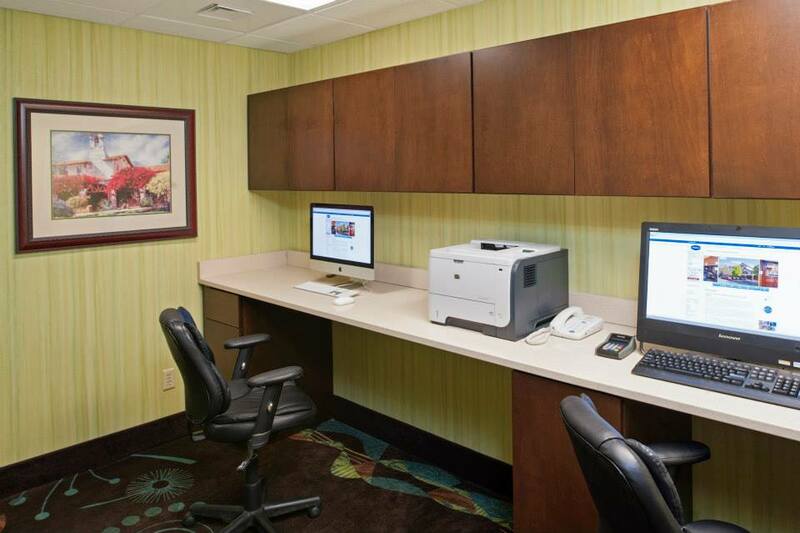 Hampton Inn & Suites Kokomo recently finished a complete renovation including all guest rooms, lobby, and breakfast dining area. Check out the great photos below! 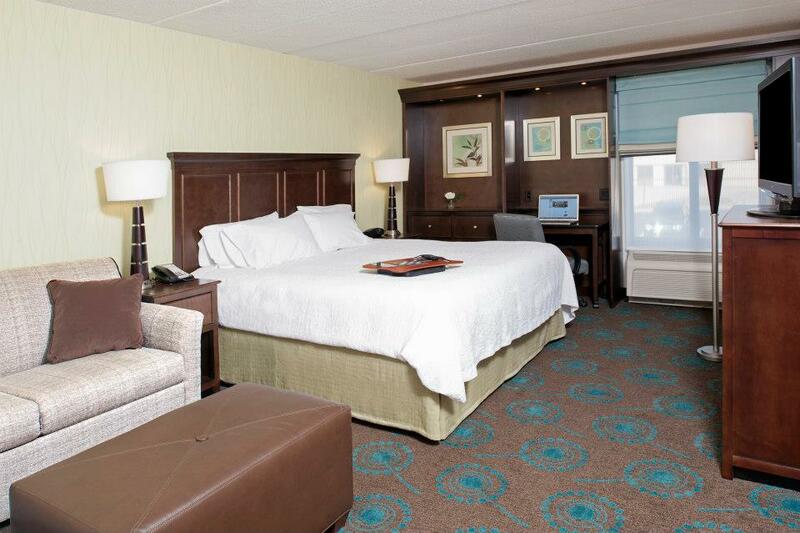 The hotel will have a Ribbon Cutting and Grand RE-Opening on Tuesday, December 17, 2013 from 4:00-6:00 p.m. 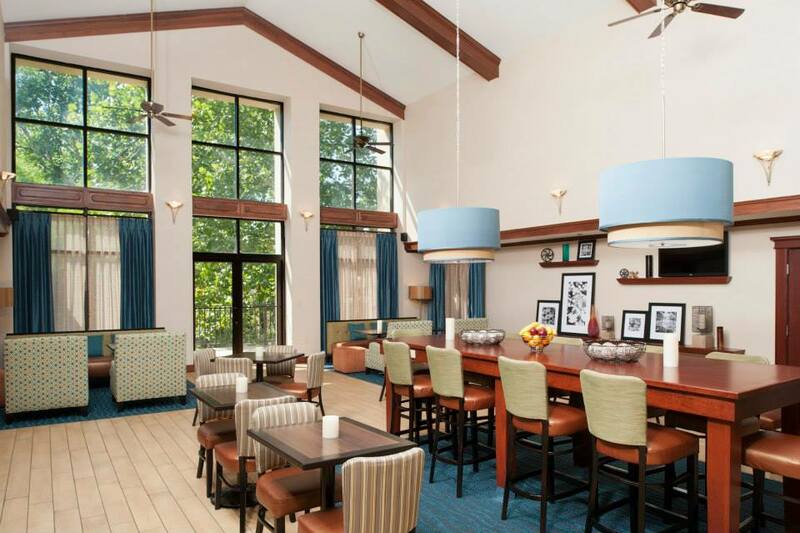 This is a great opportunity to check out the hotel’s new design and features, and they will be raffling off several fantastic prizes for all participants that complete the scavenger hunt! Click here for more information about the event. Hampton Inn & Suites Kokomo is located at 2920 South Reed Road. 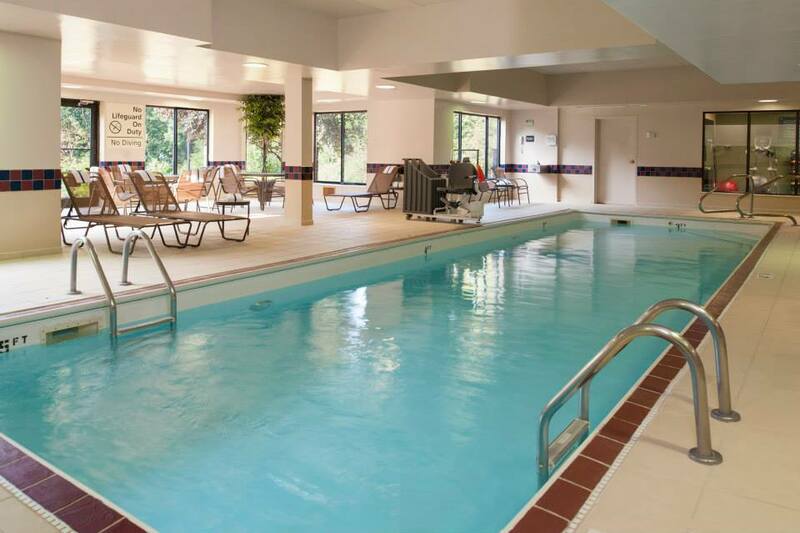 For more information or to make a reservation, call (765) 455-2900 or visit their website. 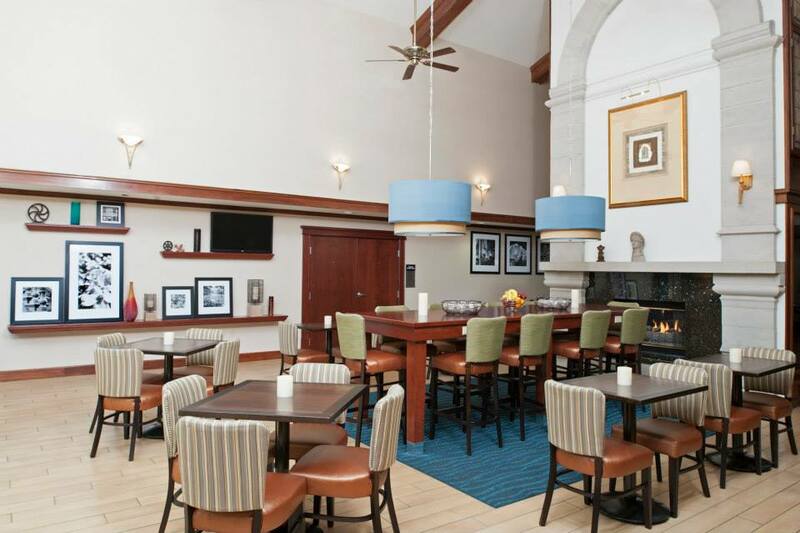 To see more photos of the hotel’s recent renovation, visit their Facebook Page. Breakfast dining area with community table at Hampton Inn & Suites Kokomo. In addition, they are offering a special rate for those staying during the We Care Telethon weekend (December 6-8, 2013) at $55 + tax per night for standard king or double queen rooms (including a late 6 p.m. check out on Sunday to watch the entire telethon.) 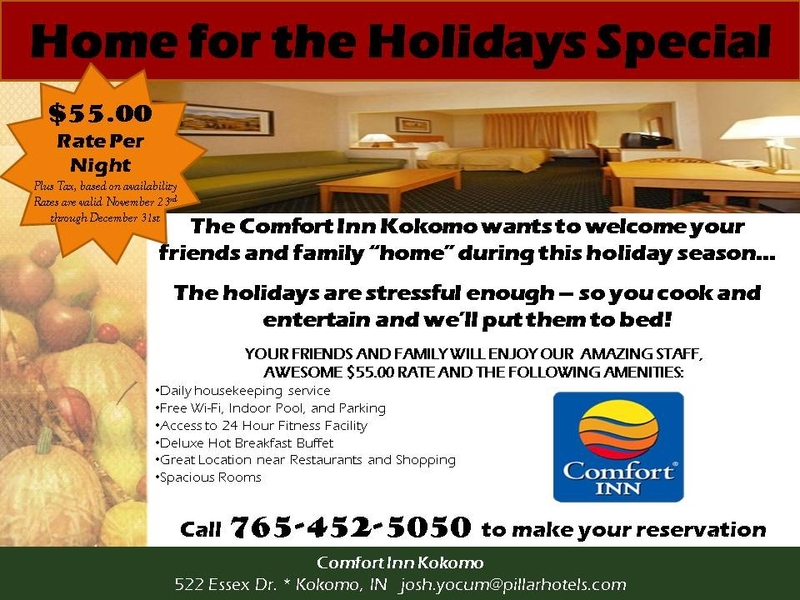 Comfort Inn Kokomo will also offer special “SNOW” rates to the local business community during inclement weather this winter. Contact the hotel directly and ask for their “SNOW” rate. For more information on any of these special rates or to book a room, call (765) 452-5050. 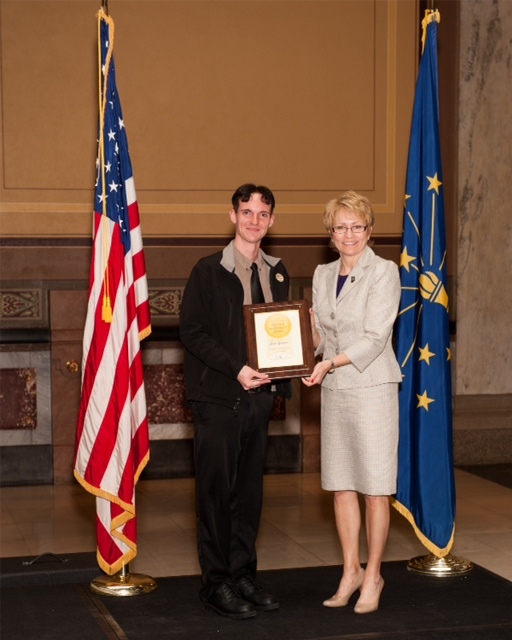 Download the NEW Kokomo Indiana Visitors Guide! 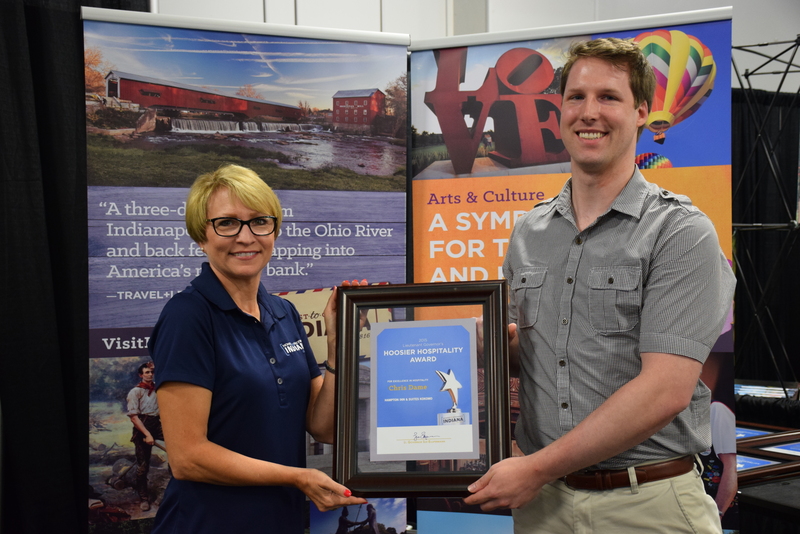 Download the new Kokomo/Howard County Visitors Guide! 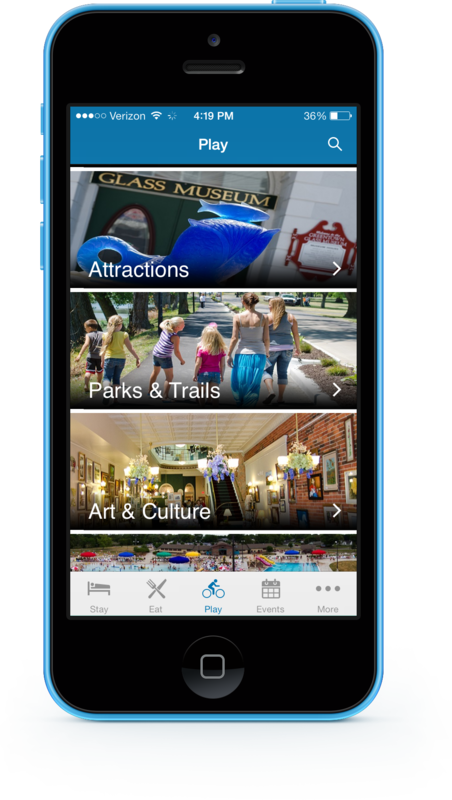 Find all the information you need to plan your next getaway … Things to Do, Parks & Trails, Family Recreation, Art & Culture, Lodging, Festivals, Fun Facts, and a Local Map! Request a brochure or download the full digital version for immediate access. 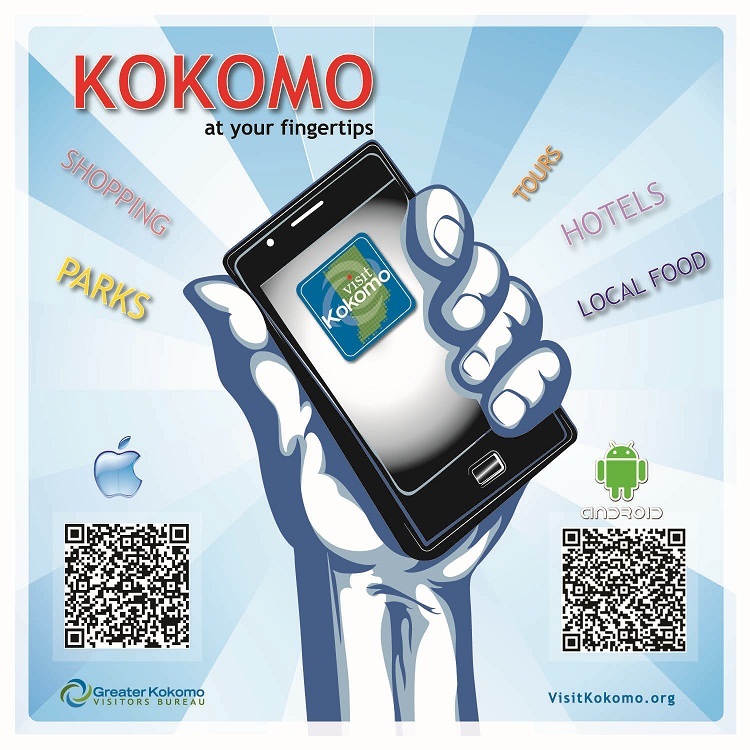 You can also get all this great information on your smartphone by downloading our Visit Kokomo Mobile App! For more information on Kokomo, call the Greater Kokomo Visitors Bureau at 800-837-0971 or visit our website at www.VisitKokomo.org.